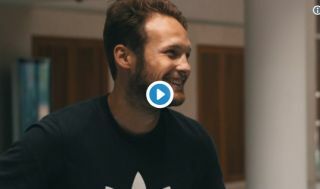 Ajax have channelled Three Lions to produce a quality Daley Blind transfer announcement video on their Twitter page. The Dutchman has just rejoined Ajax from Manchester United after four years away, with the Amsterdam giants declaring that ‘Daley’s coming home’. In case you’ve been living under a rock all summer, that song had something of a revival over the course of this World Cup as England performed well beyond expectations, reaching the semi-finals of the competition. For Ajax, it’s not quite been 52 years of hurt, but bringing back a former star of theirs is clearly going down well. While Blind never truly established himself at Old Trafford he shone at Ajax in his first spell and looks a solid signing, so well done for this superb welcome home!